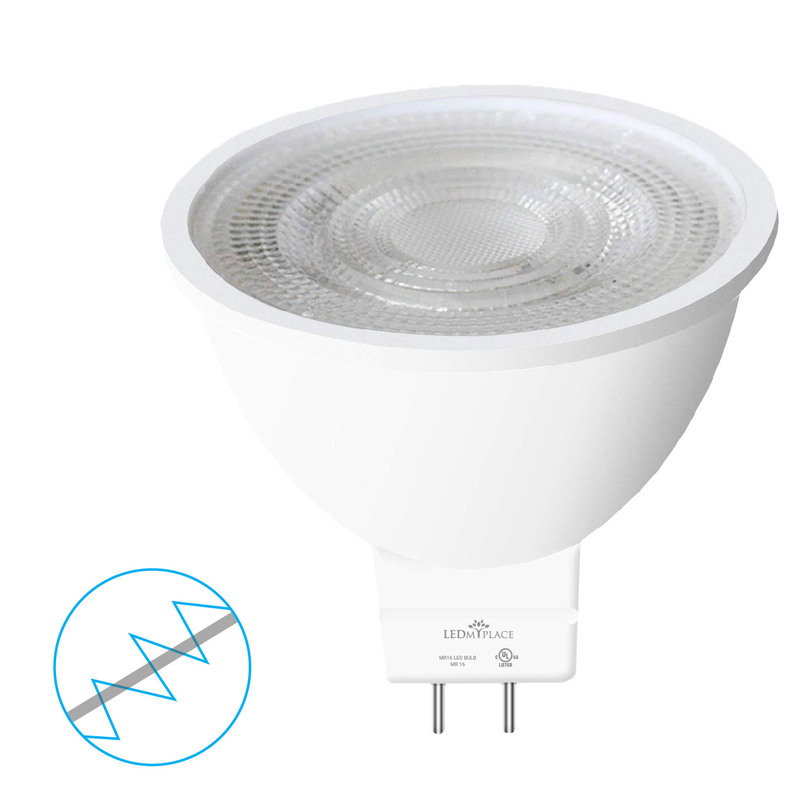 Widely used for commercial and residential lighting purposes, the LEDMyPlace’s 6.5W dimmable LED MR16 Bulb is designed to replace the traditional halogen bulb and can bring 90% savings in energy by replacing a 30W halogen or fluorescent light bulb. 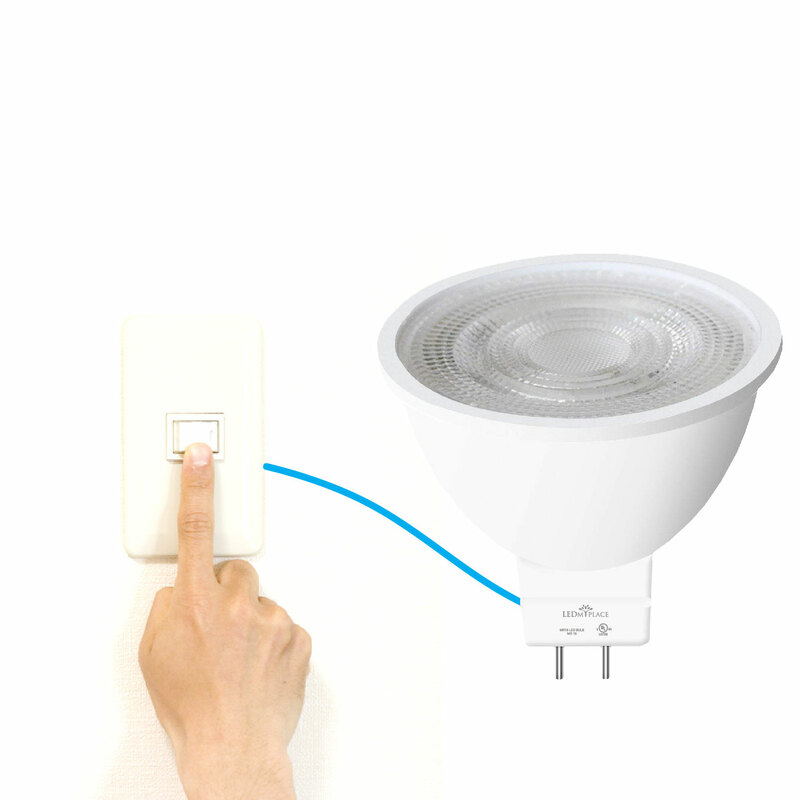 Being dimmable, it has a 0-10V dimming capacity. 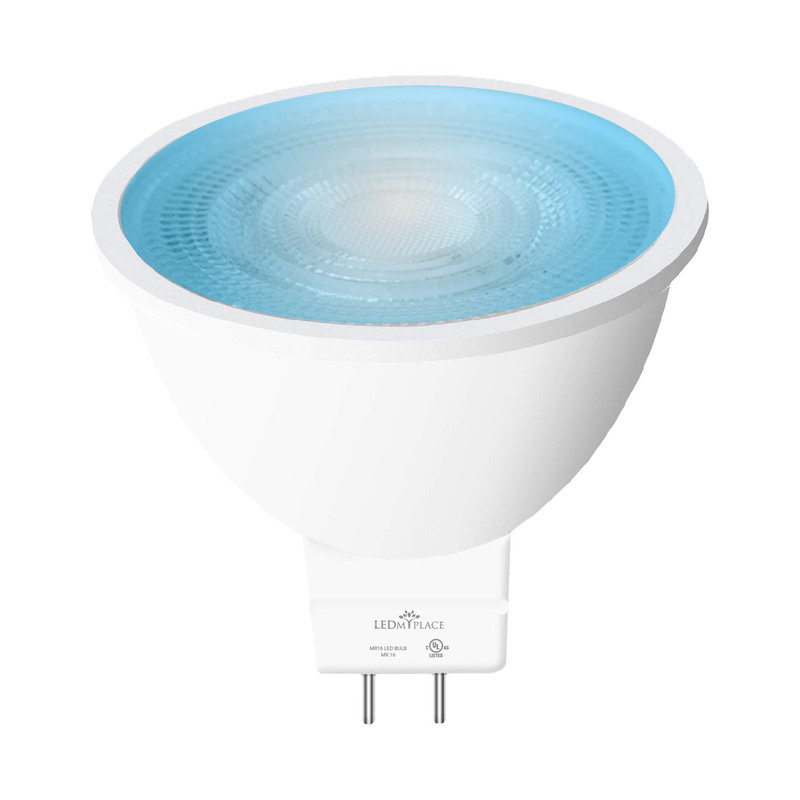 Available in 5000K color temperature, this MR16 bulb can provide for display and track lighting. With the base type as GU5.3 this MR16 bulb can conveniently retrofit any conventional lighting fixture that comes with GU5.3 base sockets. 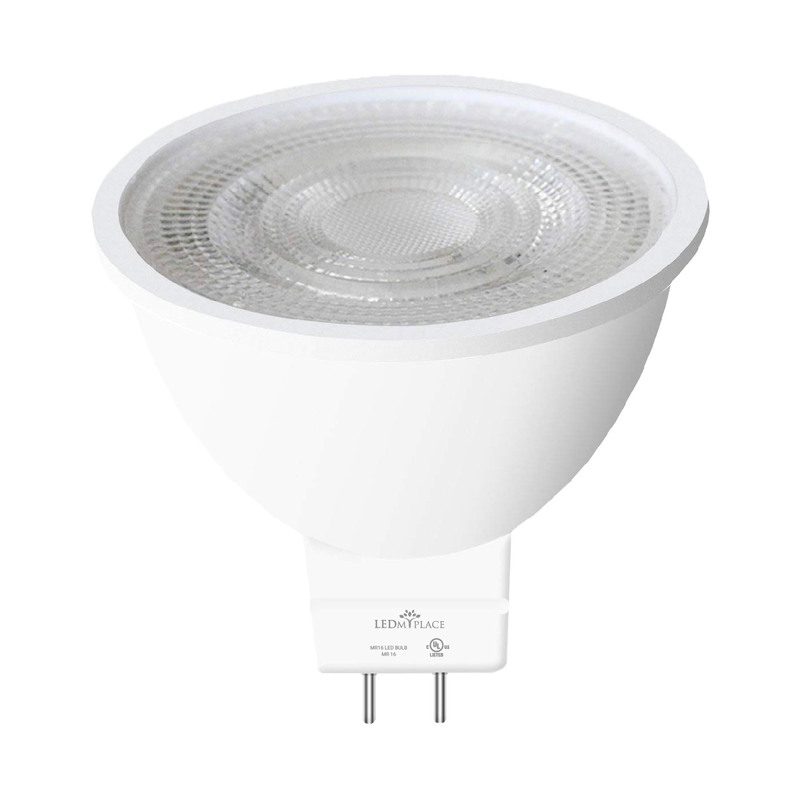 Being UL approved, it provides you with a safe lighting option. At the same time, you also have a risk-free 5 years of warranty from the manufacturer’s end. 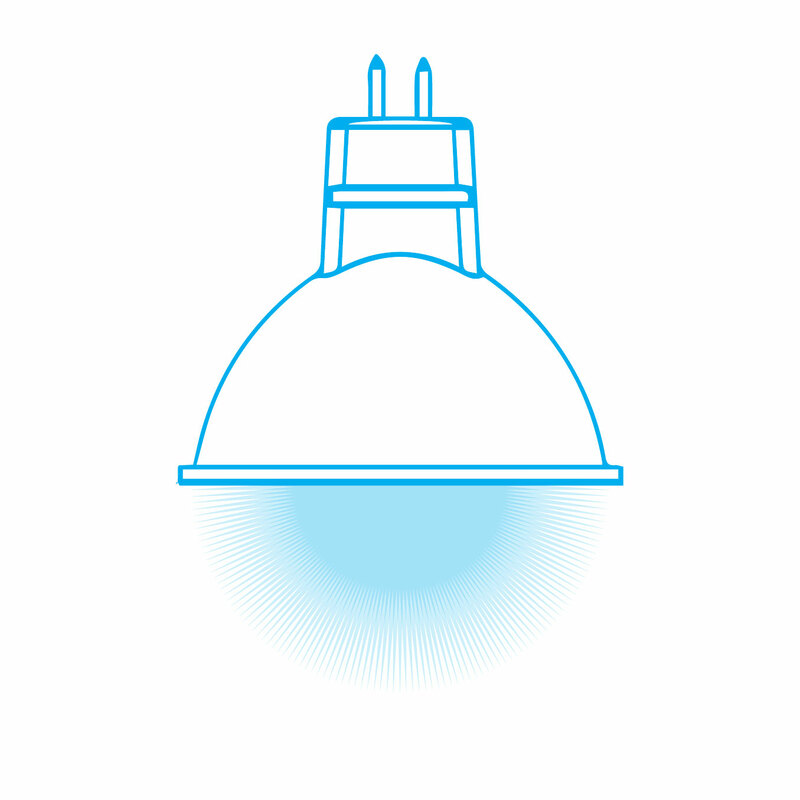 35 Degree Beam Angle: Having a 35 degree beam angle, the LED MR16 bulb behaves like a flood light bulb and can be used for general purpose lighting. Low Voltage: The LED MR16 bulb uses 12 volts and so a transformer is needed to bring the voltage down from 120V-277V to 12 volts. 5000K Color Temperature: This color temperature gives you an option of having neutral white-daywhite light glow and does not have the yellowish hue as found in most traditonal bulbs. You can thus enjoy a crisp, white light throughout the day! 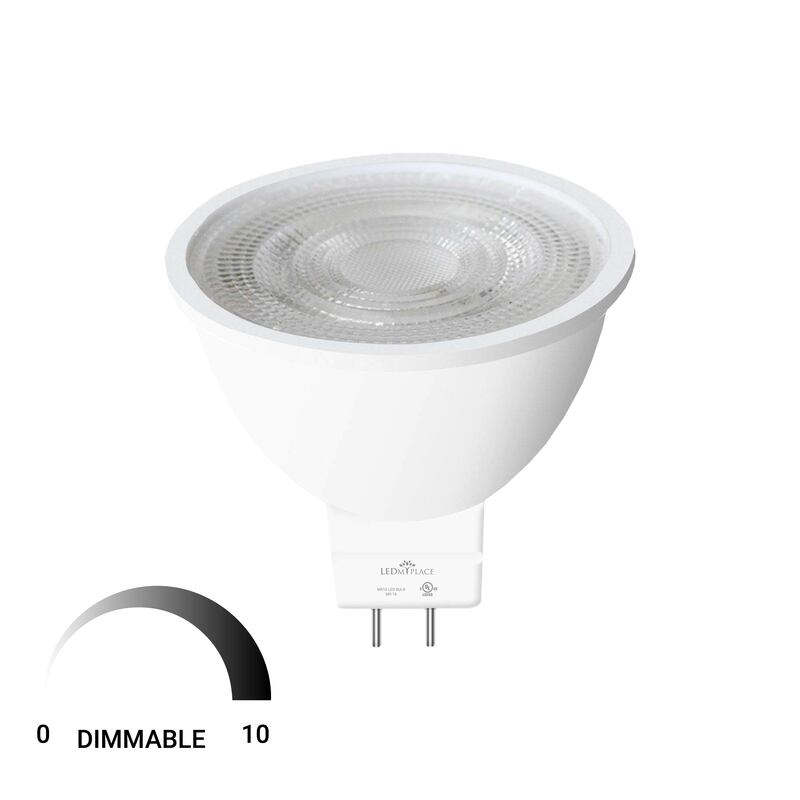 Dimmable: Being dimmable, this bulb can be dimmed to the lowest light level of 0 and highest of 10. Compatible with most standard dimmers. 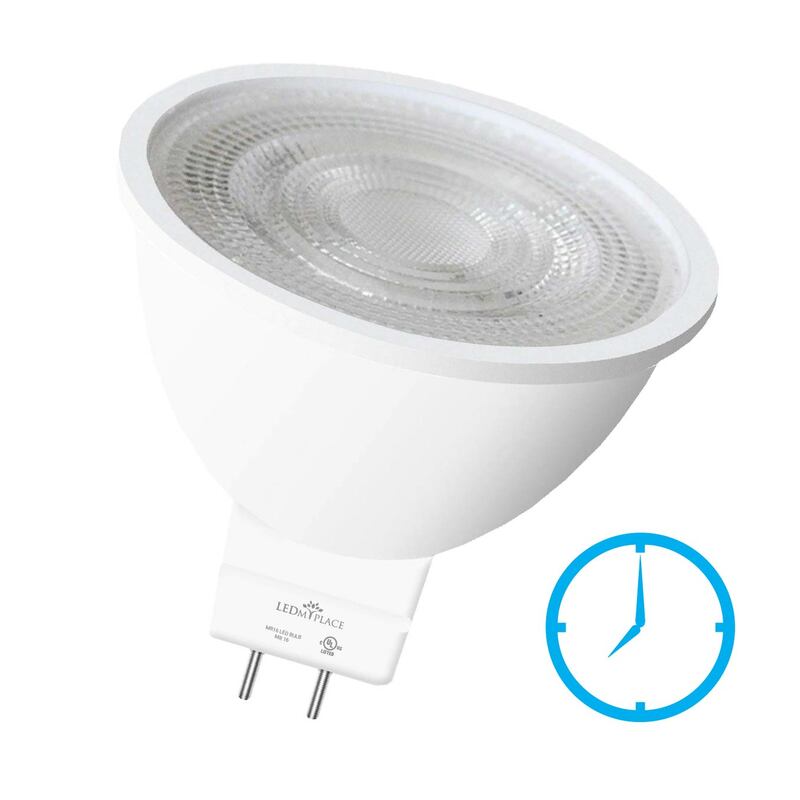 Lifespan: Lasting for not less than 25,000 hours, the LED MR16 bulb beats down the conventional bulbs in terms of lifespan. Remarkable Energy-savings: By making a switch from any incandescent, halogen or a CFL bulb, you reduce the energy-consumption by not less than 90%. Low Heat-producing Bulb: The MR16 bulbs produces much less heat than any conventional bulb which suggests that you can operate it for long hours and that also explains why it lasts for long enough to let you incur very low maintenance costs. No UV or Mercury in the Light Beam: Being free from any ultraviolet radiation, this MR16 bulb poses no health hazard while no mercury in it provides you with a clean and green environment. Our bulbs being dimmable have the capacity to dim down from 10 volts to 0 volts, resulting in further energy-savings on top of what you achieve by switching from any conventional light bulb to our LED bulbs. The bi-pin bulbs are denoted by the letter G where the number 5.3 represents the width or distance between the two pins in millimeters. 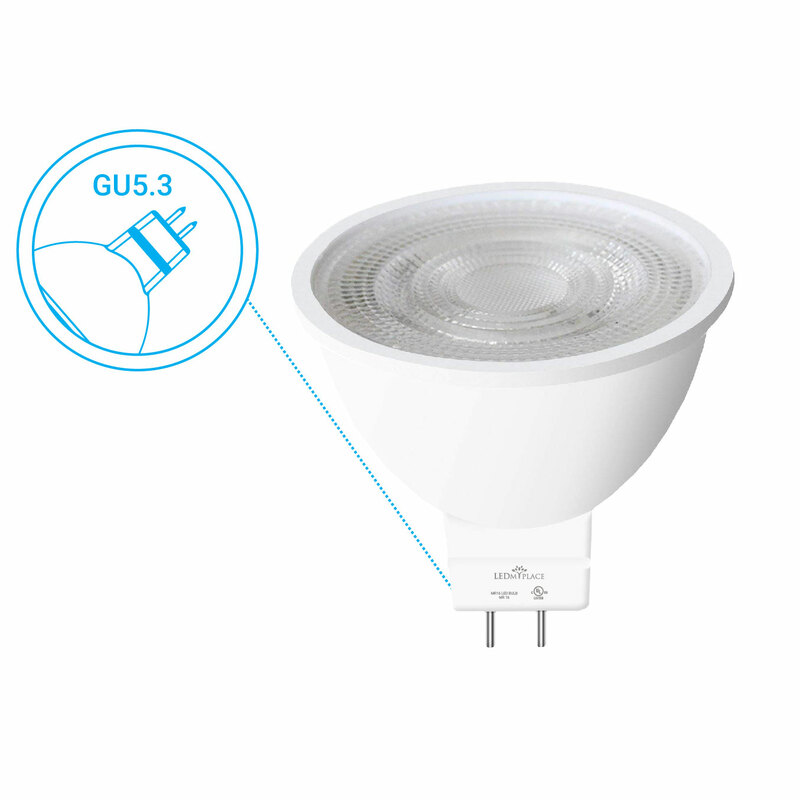 So, any of our bulbs with the base type as GU5.3 can conveniently retrofit any conventional lighting fixture that comes with GU5.3 base sockets. All our bulbs have a CRI of 80+ and that means the bulbs provide for lighting in which the objects may look real up to the extent of 80% in comparison to an ideal or a natural light source. The LED bulbs coming in various types and in different shapes and sizes have in general a longer life expectancy than any of the traditional bulbs. Or example, our MR16 bulbs have a lifespan of 25,000 hours. Other bulbs such as the PAR-types, BR-types, A-types and PL-types -- all have a lifespan of 15,000 hours. With a long lifespan, there are no replacement costs because you will hardly need to replace such bulbs, those having very less lumen depreciation until the end of their service lives. A shatterproof bulb means safety-coated bulb. All of our bulbs are shatterproof so that they remain protected against any breakage or external damage of any kind. 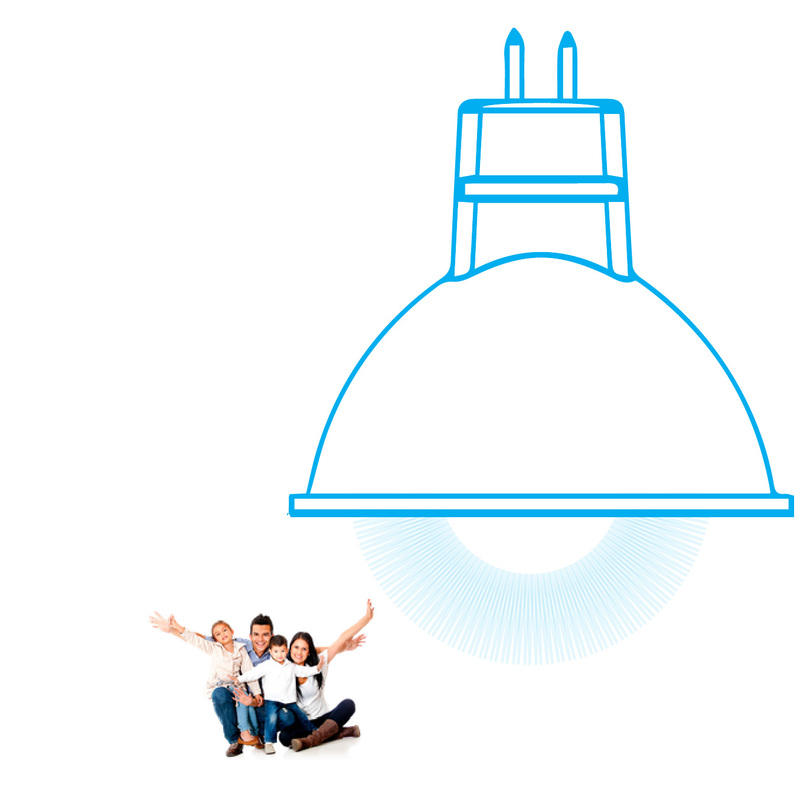 Thus, our bulbs perfectly suit the commercial lighting requirements where there can be hazard or high risk of damage.